The world’s tallest hotel is now open for business in — you guessed it — Dubai. 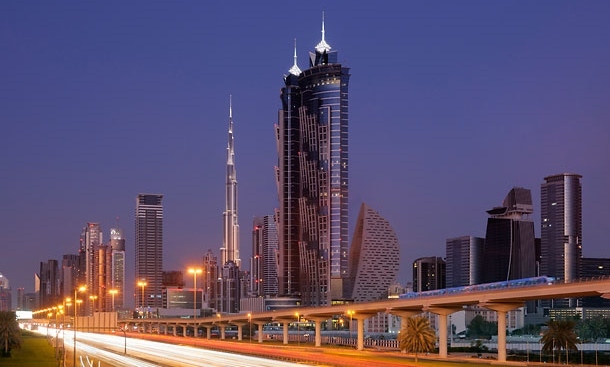 The JW Marriott Marquis Dubai celebrated its grand opening on Wednesday, February 28th. However, as the hotel’s official Guinness World Record points out, the 72-storey icon is comprised of two towers standing 355 meters (1,164 feet) tall. Only one tower opened last week; the second is slated to open in 2014. 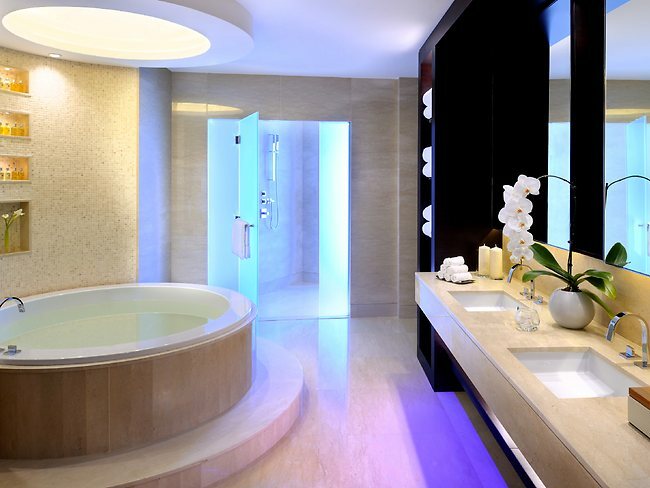 The JW Marriott Marquis Dubai has 804 rooms, 10 restaurants, four bars and two lounges. 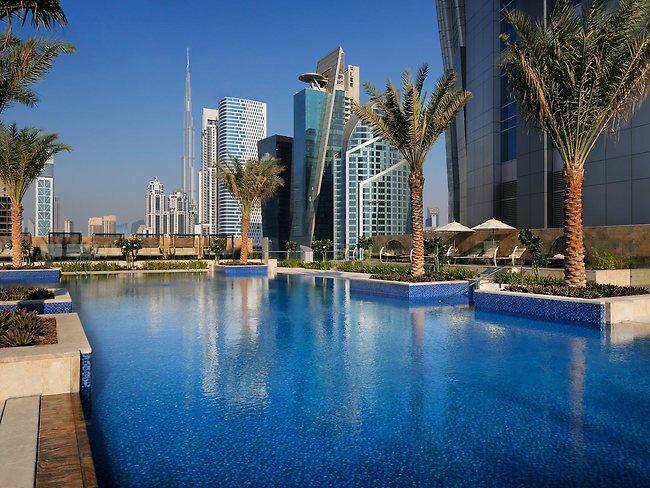 There is a 30-meter swimming pool on the seventh floor and the “Vault Lounge,” on the 71st and 72nd floors, has panoramic views of the city. The rooms come equipped with LCD TVs, iPod stations, Wi-Fi and a master room control tablet. So, while the two-tower structure is the world’s “tallest hotel,” the title of the world’s highest hotel still belongs to Hong Kong’s lone-standing, 488-meter (1,601 feet) Ritz-Carlton. 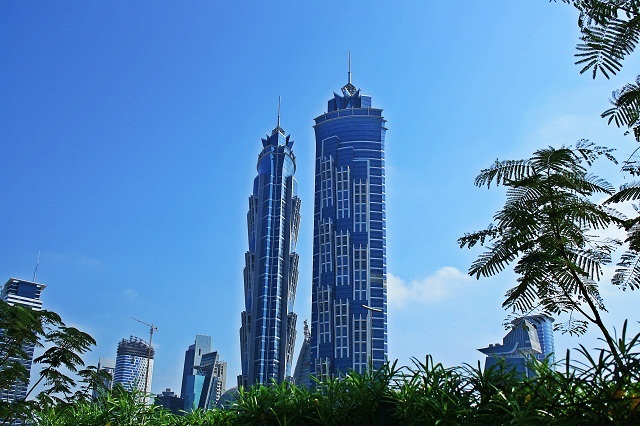 In fact, the JW Marriott Marquis Dubai is not even the tallest development in Dubai. That honor belongs to Burj Khalifa, which dwarfs the hotel’s two towers at 830-meters (2,723 feet).